Gene Buckley is of counsel to the firm and brings with him the experience of over forty-five years of active trial practice. He has served as a mediator in civil cases pending in the state and federal courts. Gene is a Fellow in the American College of Trial Lawyers and was listed in The Best Lawyers in America from 1987 through 1998. He was member of the Missouri Supreme Court Ad Hoc committee to study the revision of Rule 74 relating to judgments (1986 - 1987) and a member of the Missouri Supreme Court Ad Hoc committee to study Rule 4-1.8 of the Rules of Professional Conduct (1997 - 1998). He was the Co-Chair of the Federal Practice Committee for the Eastern District of Missouri (1983 - 1992) and the Chair of the Civil Justice Reform Act Advisory Group for the Eastern District of Missouri (1991 - 1995). He served a member of the 22nd Circuit Judicial Commission from 1970 -1975. Gene has lectured extensively on trial practice, appellate practice and civil procedure. 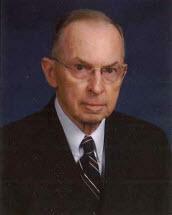 He is a co-author of Missouri Evidentiary Foundations, O'Brien, Hamilton, Buckley & Imwinkelried.